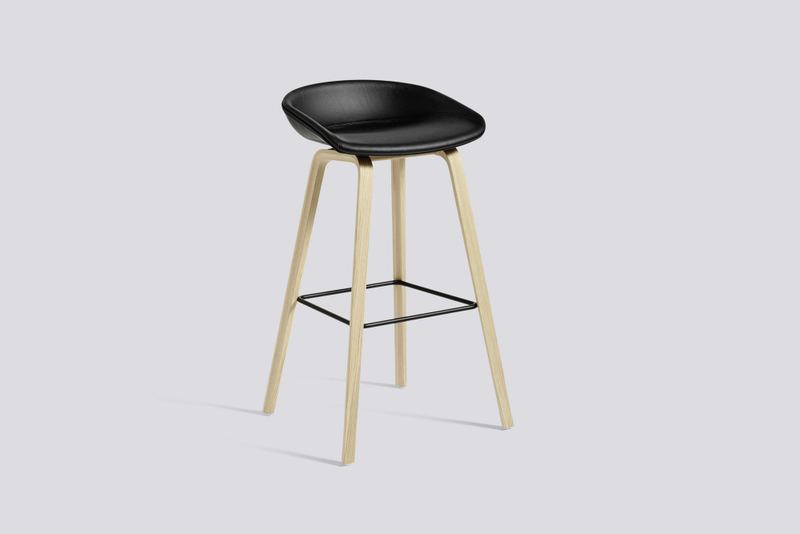 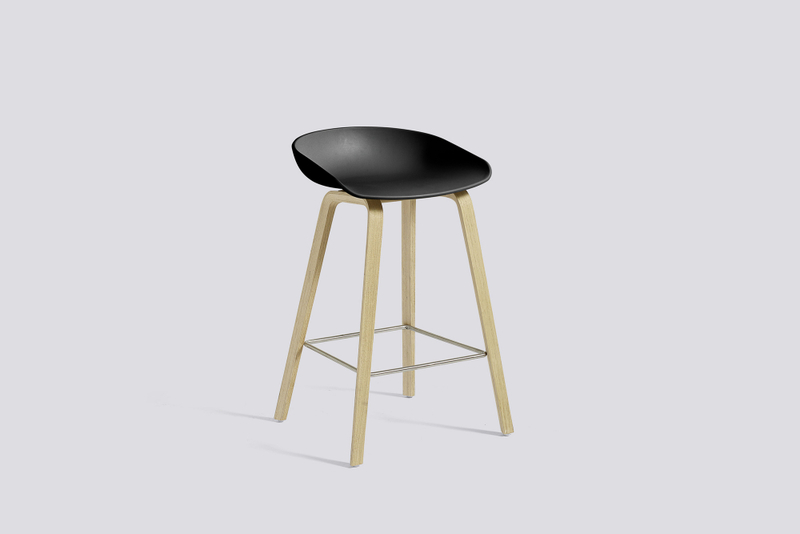 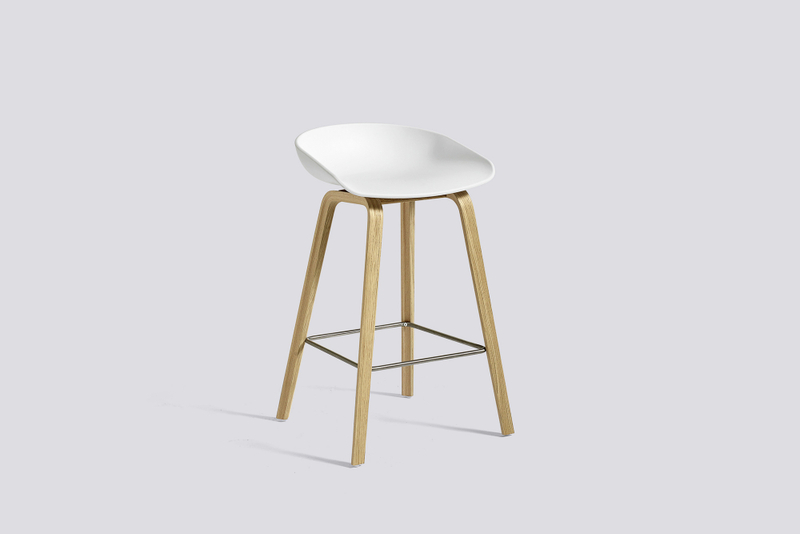 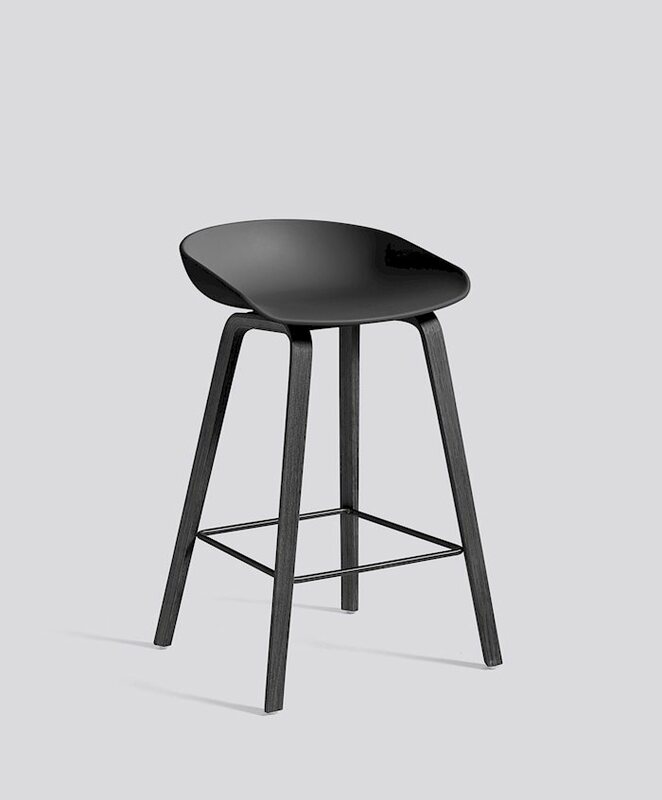 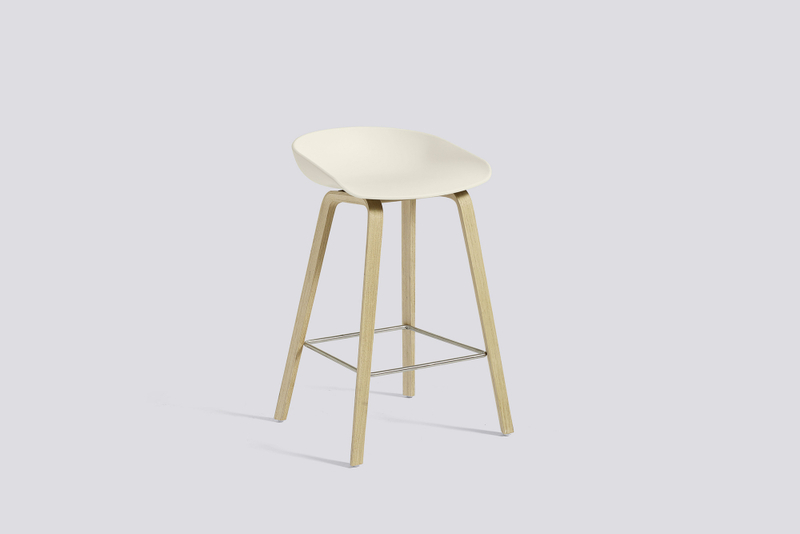 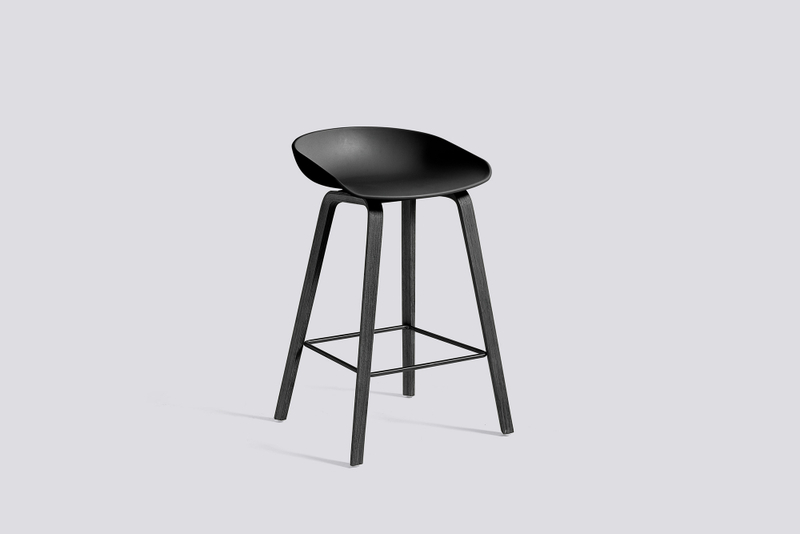 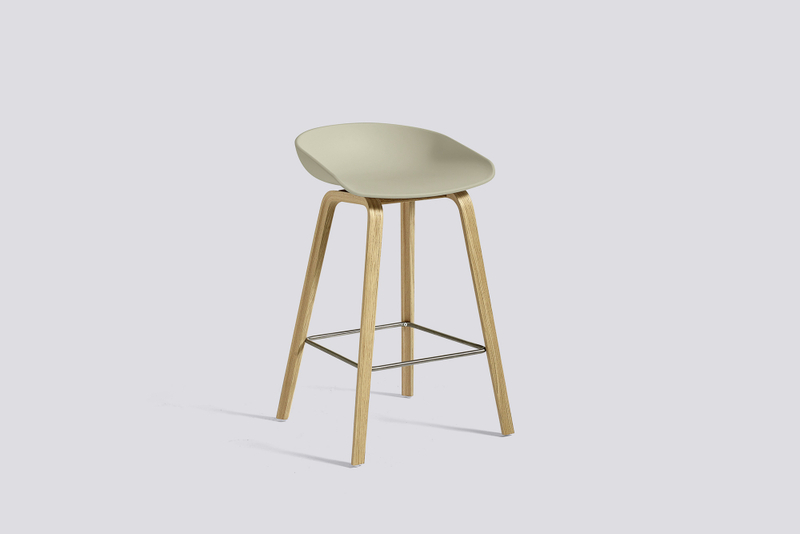 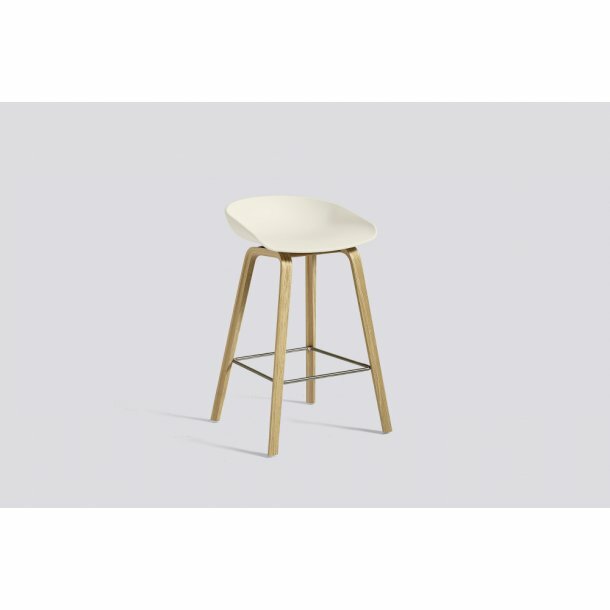 The bar stool About A Stool AAS 32 has the same capacity for transformation as the other designs in the series, ranging from a minimalistic plastic stool to a more full-bodied upholstered version. With a curved backrest and long, elegant wooden legs, it enjoys a simple yet strong visual presence that makes it ideal as a bar stool in a public environment, as well as for informal meetings and meals. Available in two heights and in a range of wood finishes and colours.